The Bogong and alpine valleys region extends from Wangaratta to the Omeo valley and is located approximately halfway through the Australian Alps. The region combines adventure and history with food and indulgence. Wangaratta is located about three hours north of Melbourne along the Hume Freeway, and Omeo is around five hours from Melbourne via the Princes Highway through Gippsland and Bruthen. The Great Alpine Road links the Hume Freeway to the Princes Highway. The region is dominated by long alpine valleys flowing with crystal clear streams and dotted with small mountain towns. Numerous wineries sit against a natural backdrop of the Alpine and Mt Buffalo national parks. 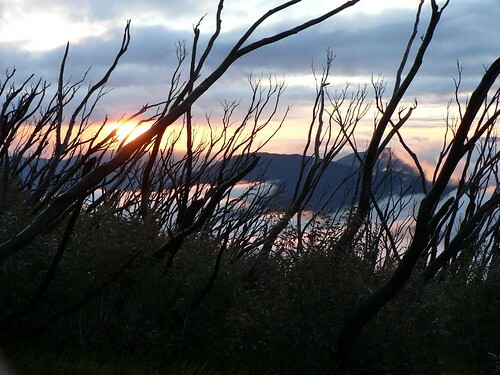 Victoria’s highest peaks of Mt Bogong, Mt Hotham and Mt Feathertop all lie in this region. You can join the Australian Alps Walking Track (AAWT) at several locations. One of the most popular sections traverses across the Bogong High Plains between Mt Hotham and Falls Creek alpine resorts. This section takes you on the historic huts circuit past some of the most spectacular and iconic mountain huts such as Wallace Hut. This long-distance walking track starts at Walhalla at the southern end of the Australian Alps and passes this halfway point on the way to the outskirts of Canberra in the Australian Capital Territory. There are several reliable tour operators based in the region who can assist with drop-offs and pick-ups for hikers on the AAWT, or on other walks in the area. The Wallace Heritage Circuit (6 km) is a great introduction to the historic huts of the high country, passing Wallace’s Hut, Rover Chalet and Cope Hut. Wallace’s Hut is the oldest of the huts still standing in the Alpine National Park and is classified by the National Trust. It was built by the Wallace Brothers from slabs of snowgum in 1889, close to the Bogong High Plains Road not far from Falls Creek. In the 1930’s its woollybutt roof shingles were replaced by the State Electricity Commission when it was taken over as a workers’ hut. Now it serves as a refuge and slice of human history nestled in wild country. Read about the proposed walking track to link up Falls Creek and Mt Hotham in the Alps news #42. A great way to explore the beauty of the Bogong region is to follow Parks Victoria’s High Country heritage audio discovery tour. Follow a guided audio tour through 240kms of the Alps, starting at Bright and heading to Omeo via Mt Hotham, then looping back through Falls Creek to Bright again. The Bogong and alpine valley region is a great starting out point for four wheel driving in the Australian Alps, with many mountain towns providing an overnight break or week-long base. One of the best ways of experiencing this country is to link up with one of the experienced local tour operators who can show you mountain cattlemen’s huts, scenic views from remote peaks and seasonal wildflowers. If you enjoy fresh local produce, regional specialties and award-winning gourmet meals accompanied by a glass of superb wine, then Victoria’s High Country should be your next holiday destination! There are so many opportunities to pop into a local bakery, sample some wine at the cellar door, join a food and wine tour, or attend one of several gourmet events throughout the year. 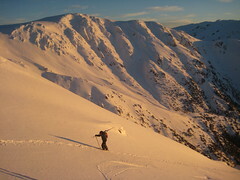 Two of Victoria’s most popular ski areas, Mt Hotham and Falls Creek, are here. 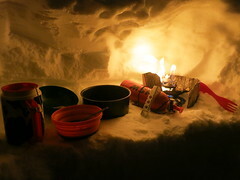 Both offer a wide range of winter skiing, snow-boarding and general snowplay. Falls Creek is the start and finish of the Kangaroo Hoppet – the only international cross-country ski race in the southern hemisphere with a starting list of over 1000 participants! It’s held on the last Saturday in August each year. 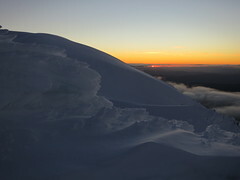 Camping at altitude is possible on the Bogong High Plains at a number of designated camping areas within the Alpine National Park. Down in the valleys, there are well-maintained camping parks at Mt Beauty, Tawonga, Bright, Porepunkah, Harrietville, Omeo and other mountain towns. 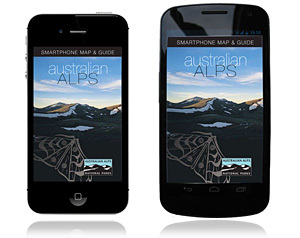 greatalpinevalleys.com.au can help you find and book a campsite. White-water enthusiasts will find the turbulent Bundarra River worth a visit, while the more sedate Mitta Mitta River offers the most reliable opportunity for a paddle. Below Dartmouth Dam, the Graveyard and other rapids provide plenty of excitement. The aqueducts of the Bogong High Plains are one of the best locations in the Australian Alps to hit the trails! Relatively level tracks take you to some of the historic huts of the Australian Alps. Road cyclists will find more kilometres of winding mountain roads than they could ever dream of riding down here – make sure to give the Alpine Classic a go! Horse riding is one of the most popular ways of experiencing the alpine and sub-alpine environments of the Australian Alps. To find out more about joining a guided horseback tour, visit the Visit Victoria website. The spectacular granite cliffs of Mount Buffalo National Park provide some of the best rock climbing and abseiling in Australia. Experience the thrill of touching warm rock on a sunny day, metres below your friends while overhanging a beautiful valley hundreds of metres below. Mount Hotham, Falls Creek and Beechworth are also great locations for this sport. The Bogong area was the base for pioneering work on the development of renewable energy sources. The King Cassilis Mine near Omeo was lit by one of Australia’s first hydroelectric schemes with power generated by the Victoria River, over 26 miles away. The Victorian State Electricity Commission began building the Kiewa Hydroelectric Scheme before work started on the much larger Snowy Mountains Hydroelectric Scheme. The town of Mt Beauty was built to house workers involved in construction of the Kiewa Hydroelectric Scheme.